Starting up Pauk, you will get a pop up window. Enter the Activation Key there. 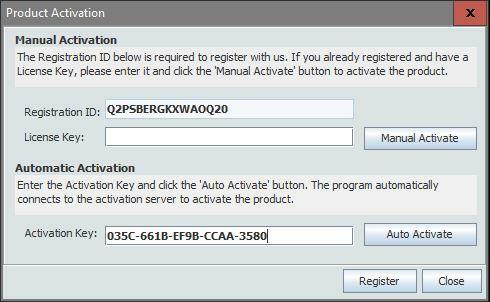 Enter this Key in the field “Activation Key” and press “Auto Activate”.